Fox Pest Control provides pest control in West Babylon and the surrounding areas. We take pride in providing exceptional customer service, and take to heart the feedback we hear from each and every one of our customers. 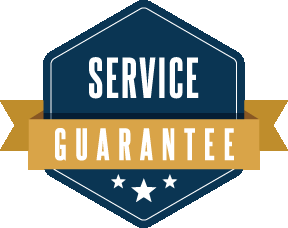 Below you’ll find our reviews, testimonials, and feedback from the home owners and businesses in West Babylon we’ve serviced. If you need a West Babylon exterminator, contact us today! Extremely professional, informative and courteous. So far everything is fine. Like to calls to let me know when you are coming. Salesman was informative and thorough. Tech was thorough also. Very good. Good communication and price. Serivce was excellent from sales to palling application. Had Danny today. He listened to my concerns and addressed all of the issues. Danny did a great and thorough job! excellent service from david s! So far ,so good, no bees. so far everything seems fine. found a couple of dead mice. also found a dead bunny outside. I hope that's not related. the workers all very professional. The gentleman I dealt with was not only professional & personable, but he went the extra mile to explain what he was doing and why. It was a pleasure to have him eliminate my problem with angry "Yellow Jackets"!